Shoutout To Our Amazing Superstar Counselors, Faculty And Staff For Making Us A RAMP School Of Distinction! 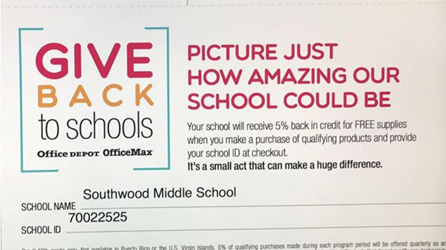 Give Back To Southwood Middle School When Shopping At Office Depot and OfficeMax! 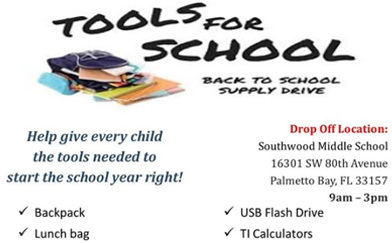 Tools For School – Back To School Supply Drive For Southwood Middle School.